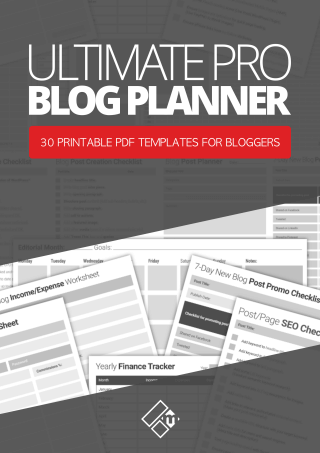 One of the greatest feelings you get as a blogger or entrepreneur is writing and publishing your first eBook. You feel an even greater sense of achievement when you eventually get to make your first sale. If you’ve experienced your first eBook sale already, then you know the feeling I’m talking about, right? At present, I have just one eBook available for sale via my website. Well, it’s more of a workbook actually. I guess that’s why so many bloggers and entrepreneurs are doing great with their eBook writing and publishing right now. Giving it away on your blog or your website was just about the simplest thing you could do, and it still is today. However, you want to sell your eBook, right? Thankfully, today there are dozens of great platforms on the internet where you can sell your digital books and make money. 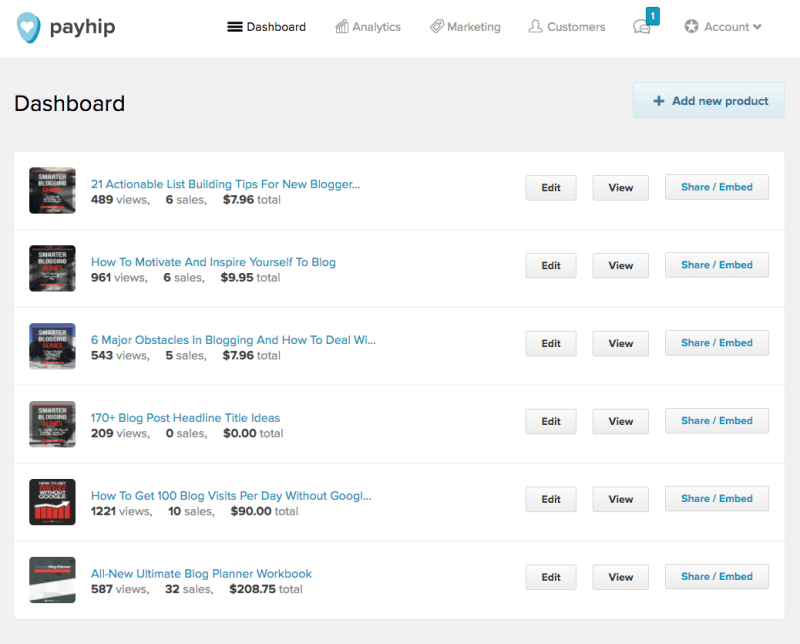 Payhip is the site that I’m currently using myself to host and sell my eBook on. The site allows me to not only host my eBooks but to also create promotional campaigns using their promo tools. Payment is conveniently handled through PayPal, and the company takes only 5% commission on each eBook sale I make. 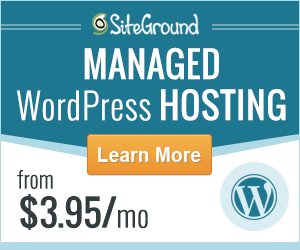 There are no setup fees, no monthly fees, or even hosting fees to concern myself with. Another big plus point with Payhip is that they also report and pay EU VAT on my behalf. I’ve never personally used Selz to sell eBooks on, however, I have purchased eBooks through them many times in the past. A couple of friends of mine do quite well with Selz too. Selz is much more than just a place to host and sell your eBooks on. The site provides authors with a complete eCommerce solution, plus marketing tools and resources. Monthly fees start from just $17 per month for a Lite plan, and there’s also a Standard & Pro plan to choose from. In addition, the company only takes a 2% transaction fee, as well as a small processing fee. 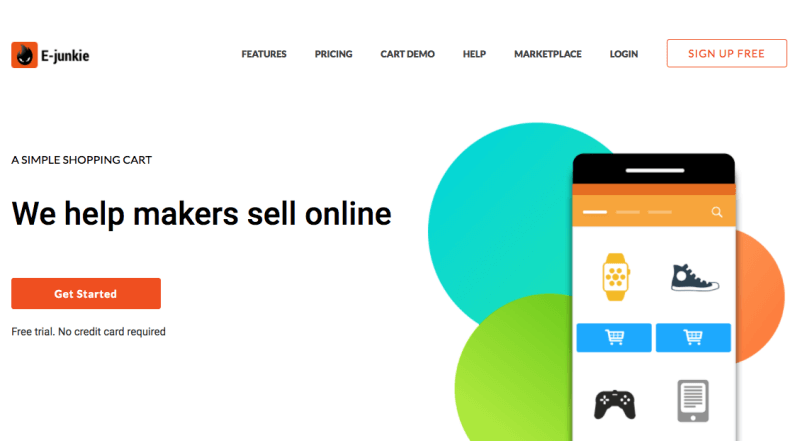 Fiverr is probably one of the most popular places on the web to sell any type of digital product or service. 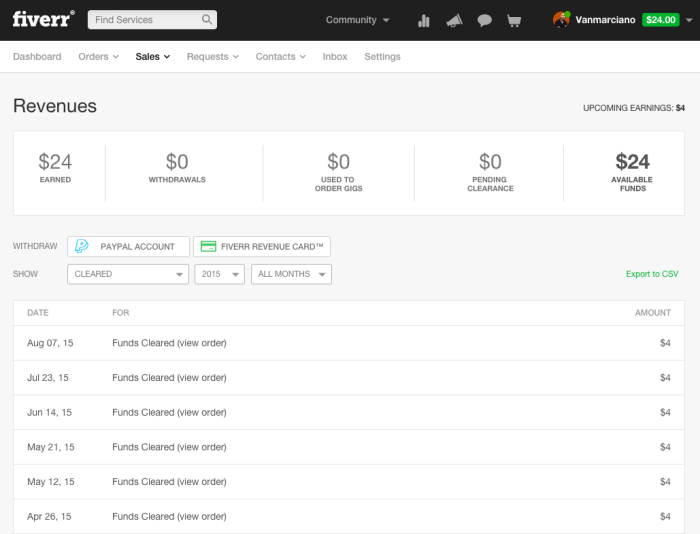 The built-in tools and features in Fiverr are useful too. You get a complete dashboard for managing your customer communication, orders, and sales. The only annoying problem I found with Fiverr is that you have to manually email deliver the eBooks yourself each time you make a sale. You also have to maintain your profile so that your gigs don’t become deactivated after some time, so that means logging in every few weeks or so. 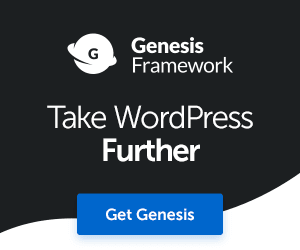 The fact that your digital products aren’t delivered automatically when someone makes a purchase can be a huge pain in the backside as an eBook seller. The other pitfall I found with selling eBooks on Fiverr is that they take $1 per transaction, so if your eBook is priced at $5, that’s a whopping 20% commission. 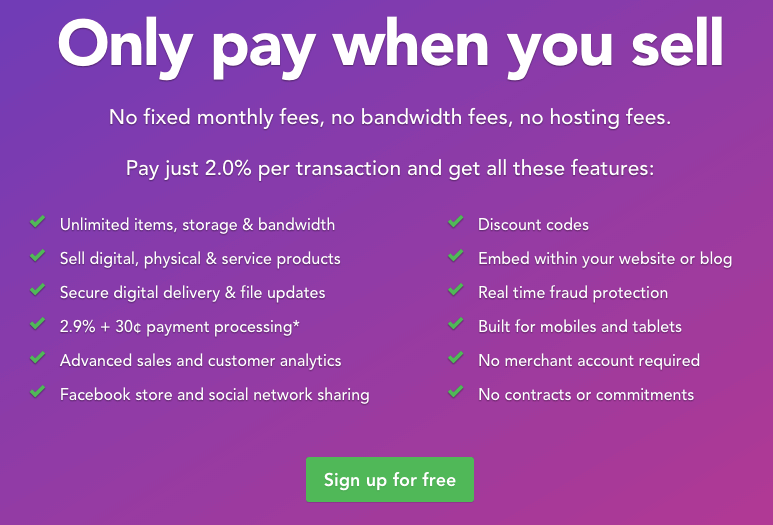 If you don’t think that’s too bad, compare that with services like Selz and Payhip. The benefit of selling your eBooks on Fiverr, however, is that the platform is a pretty large place. You’re leveraging the popularity of the website to promote and sell your eBooks. 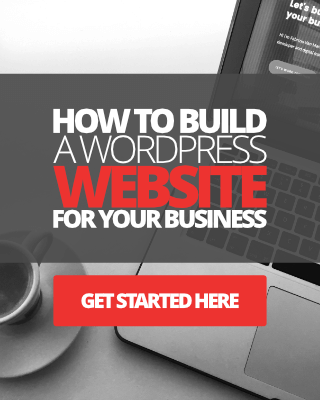 Even though there might be a lot of competition out there, the site gets a ton of traffic, and you have every opportunity to make a sale of your eBook. Amazon is probably the most popular place on the web for selling eBooks right now. Now, I have never used the Amazon Marketplace to sell anything myself. I have purchased a lot of eBooks and books from Amazon, though. As an author, you can earn between 35% and 70% royalty for your eBooks sold on the Amazon platform, depending on your location and pricing structure I believe. Now again, I have had no experience with selling my eBooks on Feiyr.com. I’m adding the platform to this list as another option for you. Registration is free, however, there is a small account activation fee, around €9 I think. 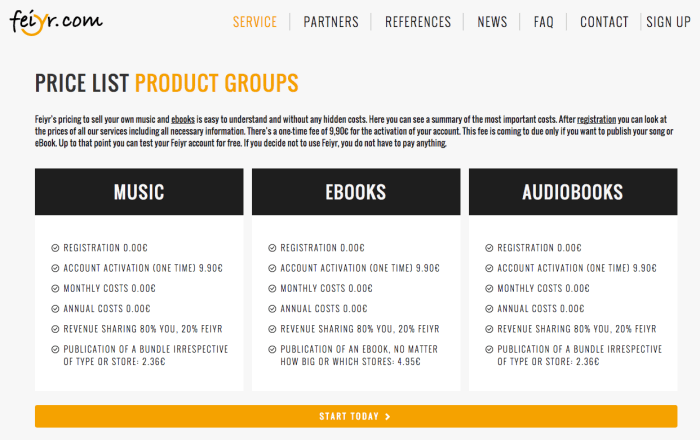 There is no monthly or yearly cost with Feiyr.com and you earn 80% commission on sales of your eBooks, which probably means 20% goes to the site. Your options are that you can sell on their own platform, the Amazon or Barnes & Noble platform, and the Apple iBooks Store. 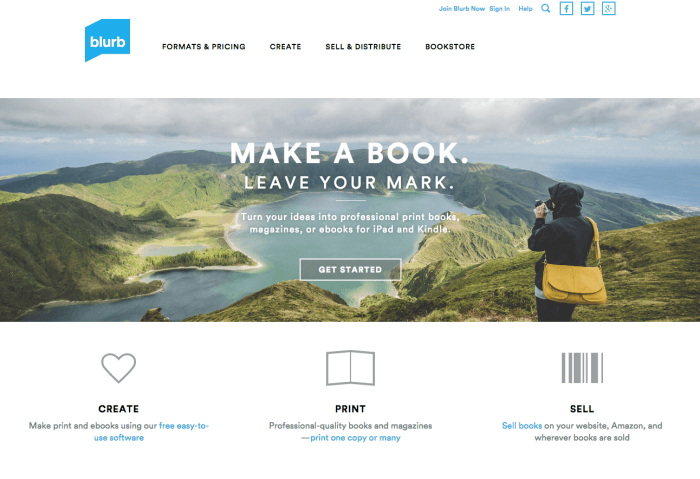 You can also create quality printed books and magazines using Blurb, should you wish to. You can learn more about the site here. 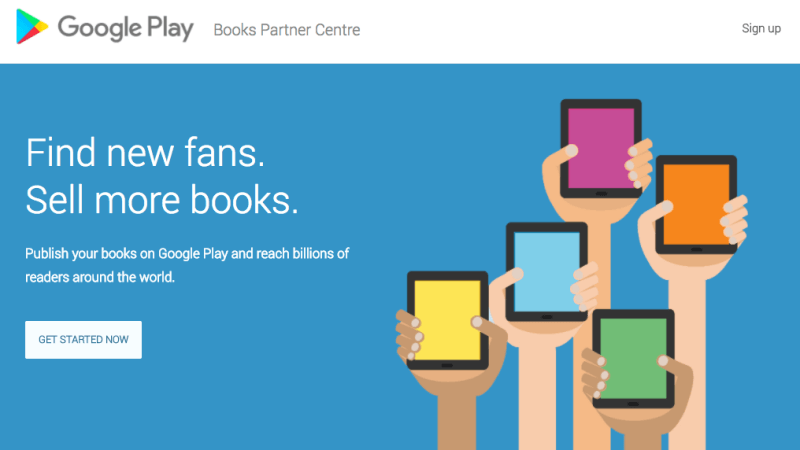 If you want to make your eBooks available on the Android platform, there’s no better place to start than Google Play. With over 50 billion users, you’re bound to make a great impact with your eBook here. Getting set up is pretty simple. You can signup here, upload your content, set your price and begin promoting your eBook to the whole world. Finally, we get to good old E-Junkie. This is where it all began for me as an eBook author many years ago now. If you happen to know of a great platform that you think should be on the list above, please click here to get in touch with me and let me know about it.